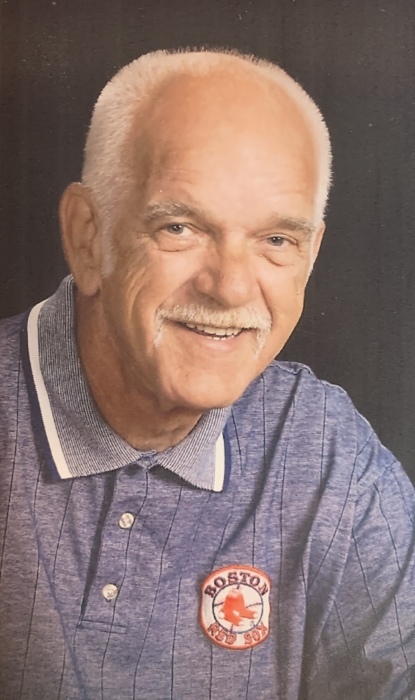 Malcolm R. Garrand, 74 of Mooers passed away Friday, March 29, 2019 at UVHN-CVPH Medical Center. He was born January 23, 1945 in Plattsburgh, the son of Leeward and Ruth (Dragoon) Garrand. He served in the Army National Guard. Malcolm married the love of his life Linda LeClair on October 18, 1969. He worked at Harris Graphics and as a groundskeeper for the Town of Mooers Recreational Department. He took care of the athletic fields for several years and took great pride in his work. He loved coaching youth sports for the Town of Mooers and he had an impact on many young athletes serving as a mentor over the years. Malcolm was an avid fan of Boston professional sports teams and he loved and supported NCCS Cougar Athletics. There’s nothing more he enjoyed than watching his boys coach and grandchildren play..
Malcolm is predeceased by his parents; one brother, Alton Garrand and one sister, Patsy Garrand. Left to cherish memories of Malcolm are his wife, Linda Garrand of Mooers; two sons, Rick Garrand and Elena Langlois Cameron of Rouses Point; Robb Garrand of Rouses Point; five grandchildren, Ethan, Bryanna, Thomas, Caitlin and Elijah; one sister and brother in law, Norma and Tommy Gowette of Mooers; several nieces and nephews as well as several brothers in law and sisters in law. Calling hours will be Tuesday, April 2, 2019 from 4:00-7:30 at the Ross Funeral Home in Mooers. A Mass of Christian burial will be celebrated Wednesday, April 3, 2019 at 10:30 a.m. at Holy Angel’s Church in Altona. Arrangements are in the care of the Ross Funeral Home, 2586 Route 11, Mooers. To share an online condolence, please visit www.ROSSFUNERALHOMES.com. Donations may be made in Malcolm’s memory to the Mooers Youth Commission or NCCS Booster Club to support athletic opportunities for our young people.